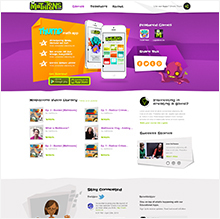 Creating digital teaching and learning tools designed specifically for today's tech savvy generation. CEO Kristin Garn has been recognized as one of Canada's top 10 emerging female tech entrepreneurs. Her vision get our kids practicing math and make it fun. 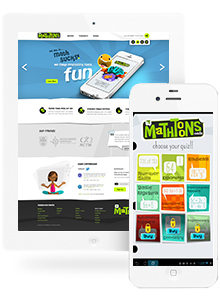 Red Cherry developed a clean website to keep identify key persona's that were accessing the site and help pursue the visions along with the brand of Mathtoons. 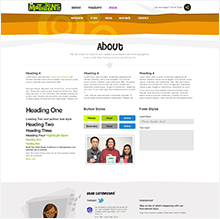 Providing consolation, Project Management, Monetization Strategies, Search Engine Optimization, Social Media Marketing, Remarketing, and App Store Optimization. An educational technology powerhouse that creates digital teaching and learning tools designed specifically for today's tech savvy learners. Mathtoons is spreading the math love. Hey what do you get when you cross a mosquito with a mountain climber? Nothing. You can't cross a vector and a scalar! Clean and clear calls to action for each persona. 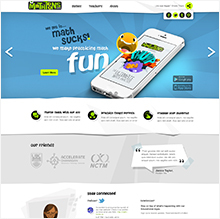 Consulted with amazing team of developers at Mathtoons. Bringing brand to hero banner with top level messaging. 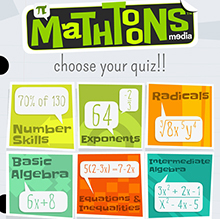 Mathtoons apps are extremely engaging and provide a rich experience.